The Roanoke Chamber Brass’s most exciting venue is the concert hall. As performing artists, we have many programs available for your concert series. We have programs available that include brass, brass & organ, and church or community choirs. Live music makes a statement. Live music says “This event is special and important!” Live music makes an announcement that great things are happening in this community. The Roanoke Chamber Brass has music ready to go for local government and civic events, building dedications and groundbreakings, community celebrations and social events, receptions and galas. Each event will have the excitement and polish that is only possible with fine professional musicians. 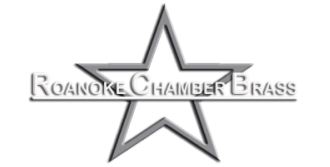 The Roanoke Chamber Brass has an extensive repertoire of music for worship. Our sacred music is not only beautifully crafted and artfully performed, but also directly relevant to a modern worship service. We seek to provide an experience that leads the congregants into pure worship. Nothing brings more pageantry and excitement to a wedding than live brass. From the soft music of the prelude to the grand entrance of the bride to the celebratory recessional, the Roanoke Chamber Brass is the final sparkle to your most special event! We will work closely with you to go beyond your expectations to create the ideal ambience for your memorable day. The Roanoke Chamber Brass can perform indoors and out, from cathedrals to the most intimate of rooms. Equipped with an extensive repertoire, we can perform any style you wish. Arrangements of special songs can be made prior to the service, thanks to our resident arrangers. A free wedding music sampler CD by is available by mail upon request by visiting our “Contact” page. Schedule your personal music consultation today!